This was a winning sketch from a Design competition conducted with the 10 GM Design Centers around the world in 2010. This is a classic example of what can be done without reinventing the entire front engine concept. Do remember that Ferrari's most expensive cars are front engine models and if GM maintains their front engine line with a vehicle like this, they could easily continue the popularity of that variety of their offerings. This is exactly why so many of us have championed the business model offering both front engine and mid engine varieties. With this degree of creativity, many might forego a mid engine in favor of a front engine. This is a concept design that can sell in the full scope of what is presently fiscally available. Thereby allowing the ME to fill the Halo Car niche. All along, I, and numerous others, have said it was totally absurd for GM to forego the front engine format. 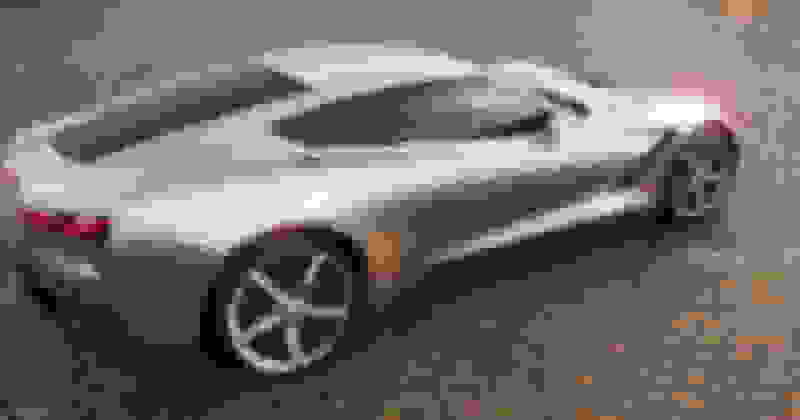 This car, or something closely resembling it, would cement the position of the front engine vehicle in the coterie of Corvettes. Last edited by ltomn; 09-02-2018 at 03:05 PM. FYI. That is the Hwasup's near-final theme sketched over a full-size clay mock-up of the C7, not a potential new C8 FE. Read the post! I'm not suggesting this is an exact design of a new FE but with this kind of talent as many as 8 years ago, what makes people think that a new FE cannot be forthcoming with minimal "under the skin" changes?! GM has massive talent in their design shops. This is concrete evidence that they have every reason to continue the line of front engine models. I don't think GM agrees that abandoning the FE is absurd. The photographed test cars appear to be base cars and the fact the ZR-1 has a end of production date announced for next year indicate the ME will be the only Corvette. The end of the ZR1 does not signify the end of the front engine format!! Nor does the testing of the numerous varieties of versions of the ME. Why is it so hard to believe that GM has a history of success in the front engine format and a business model that includes that for many more years? Dude why are you so mad. A mid engine change is coming it's a known fact . Do you still hand wash your cloths and ride a horse to work every day? I will drop the mic and leave it at that. Continue with your debate, I will be on the C8 discussion reading about all the great new features. I'm not mad, buddy! Not in the least! And I am well aware of the imminent mid engine vehicle. I am anxiously awaiting one but if GM has the design talent to come up with this front engine concept 8 years ago, what keeps them from continuing the cash cow that built the name CORVETTE? GM has the Camaro for FE, it's fun, fast, manual if wanted and practical enough my dad packs his vert up every year to go from Ohio to Florida for winter. And what of the fact that there are plenty of folks like me, that have, literally, no interest in a Camaro and may see the merit of a front engine car versus a mid engine car for several reasons. It is statements like these that add substance to the rational thought of maintaining the front engine offering. I can't imagine a single business model that supports production of two distinctly different Corvettes. When production of the ME car starts, that's it for the FE car. I have posted a few times, I would like to see a two car lineup, broaden the brand a bit, I just cant see it happening. Frankly, I hope I'm wrong but one way or the other, things are moving forward, since like cerv1. There are too many on this forum that haven't read and studied all of the obvious signs of the C8 FE coming. It is in process right now. Body panel Mold Die's have been finished for over a year. The new LT2 has been testing down in Yuma that will power the FE Stingray. They've tripled the Bowling Green plant to accommodate both C8 FE and C8 ME. Wake up people as you guy's are in a state of denial if you think you're going to have only one model going forward. I've had a conversation with a top Corvette Team member that says it is far beyond any car they've ever made. Be prepared to see a Halo ME car far beyond your wildest dreams were his words. The C8 FE will continue it's current price points on their respective models. 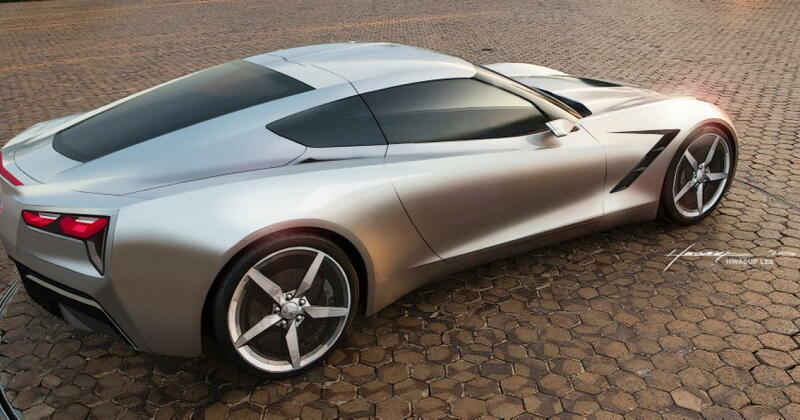 There are just too many here on the forum in a fantasy world thinking their going to get a cheap inexpensive Supercar. Wake Up! Last edited by skank; 09-02-2018 at 05:09 PM. Oh and btw, the ZR1 has been described as a supercar and its built off a 60k stingray. GM wants to start a base 65k and build it up from there I bet they can, because they want to sell 20 to 25k units a year, not 3k. Last edited by Darion; 09-02-2018 at 05:15 PM. We have more self proclaimed auto executives in the know on this forum then there actually exist at GM. If I had a quarter for every time someone quoted their source as the gospel, I'd be wealthy. They didn't expand the BG plant by 300% to build one model of one car. Get real!!!! This is not a romantic endeavor for GM, it is business!! They have already called the ME a Supercar! Not a car for the generic buyer. This was clearly stated at the dealer event in Las Vegas this spring and verified by certain Corvette people we spoke to at Pebble Beach/Monterey Classic Car week last weekend. Be happy!! There will be multiple models of Corvette for 2020. Cheers, here's to hoping you are right. Btw, you seem really certain yourself. The Camaro isn't a Corvette. Never has been. What is with some of you? I am only professing what makes logical sense. I've been in business for many years and I find it puzzling that those without that feature are so sure of how a company runs. A company like GM simply does not abort a business acumen after 7 decades. The billions of dollars worth of investment in a brand isn't just cast aside. Imagine it this way: if GM offered to sell just the part of Corvette that produces and markets front engine Corvette models, would it have takers? I believe the answer to be unequivocally yes! The real questions would be, how many and for how much? Does it make sense to just eliminate that asset when it has such an unfathomable value? I didn't have to hear this from anyone. It's common sense! As I've said so many times before, Corvette is a cash cow. Last edited by ltomn; 09-02-2018 at 05:48 PM.